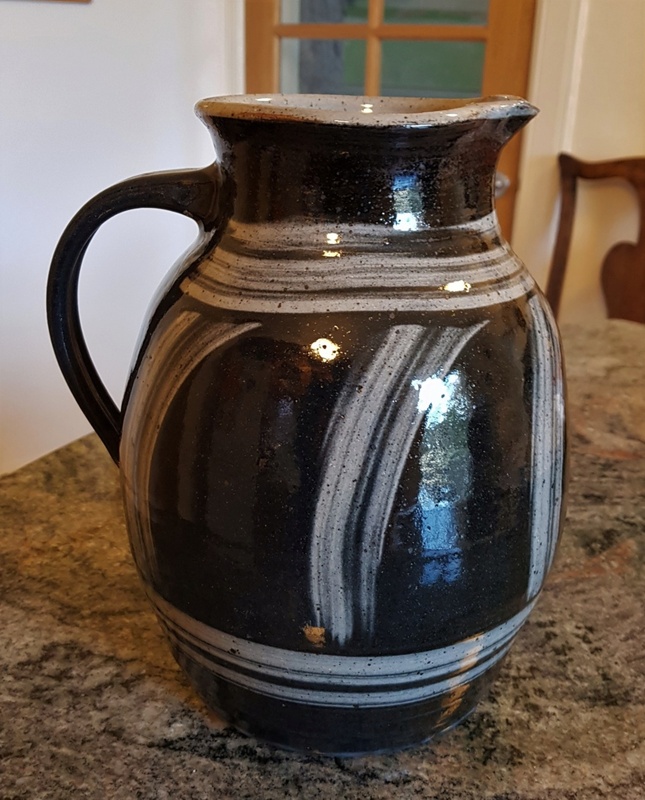 A big stoneware jug, quite well made, with an interesting black glaze with grey wiped decoration. 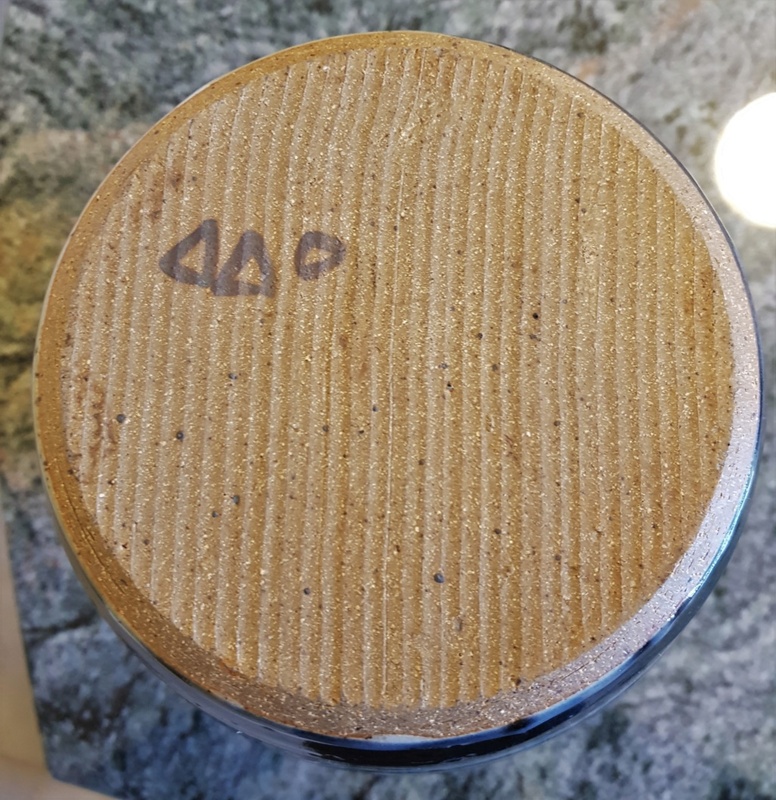 The mark on the base looks like two triangles and a circle. 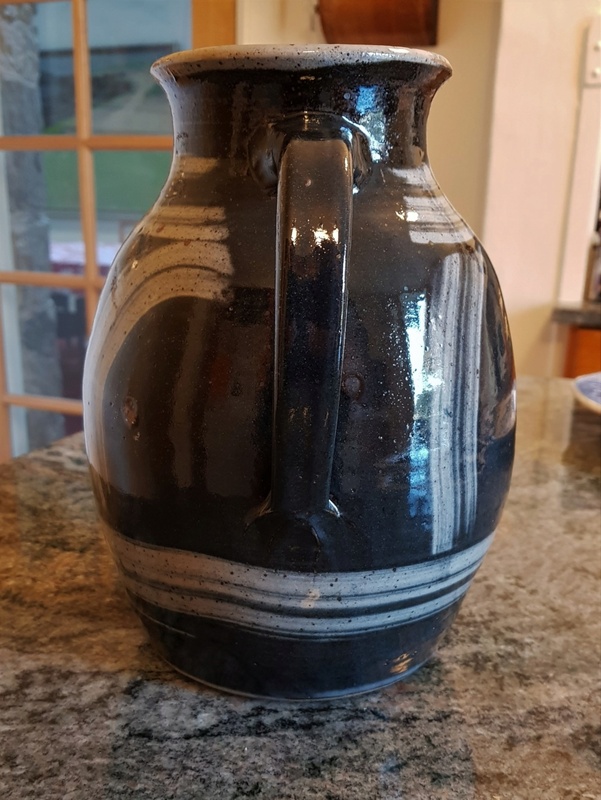 Any ideas, please?